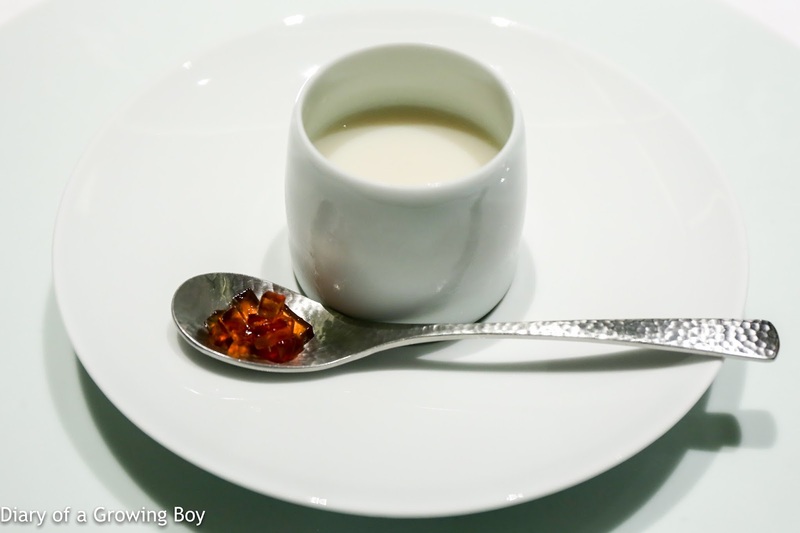 Welcome dish (환영 음식) - this was mountain yam (山芋) and ginseng juice, which was unfiltered and therefore had a grainy texture. 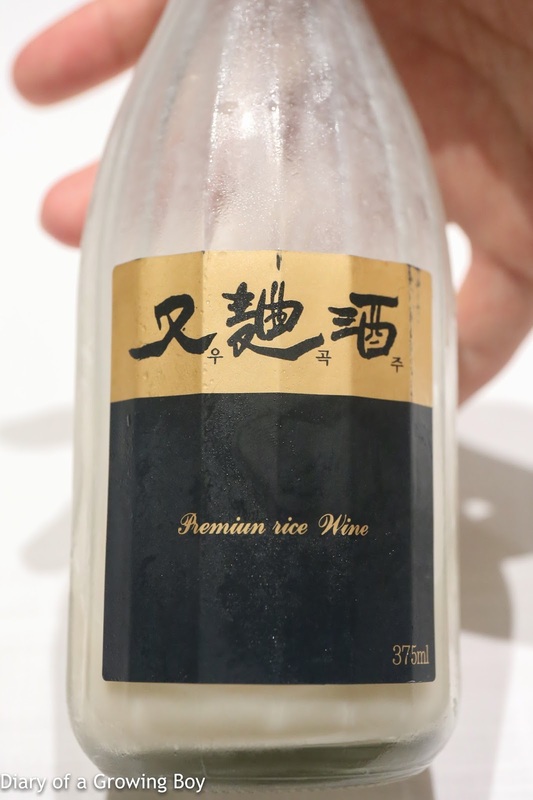 The earthy flavors of ginseng were very strong. 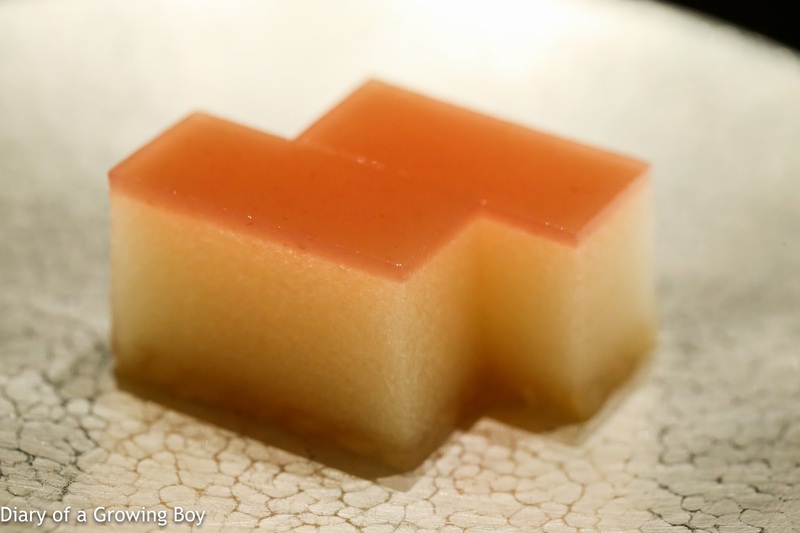 The cubes of plum jelly on the spoon were taken after the juice - presumably to neutralize the bitter flavors of ginseng. Platter of nine delicacies (구절판) - gujeolpan (九折坂) is a dish consisting of 8 different ingredients - originally representing the 8 provinces of Korea - meant to be wrapped together in a jeon (전). It represents harmony. 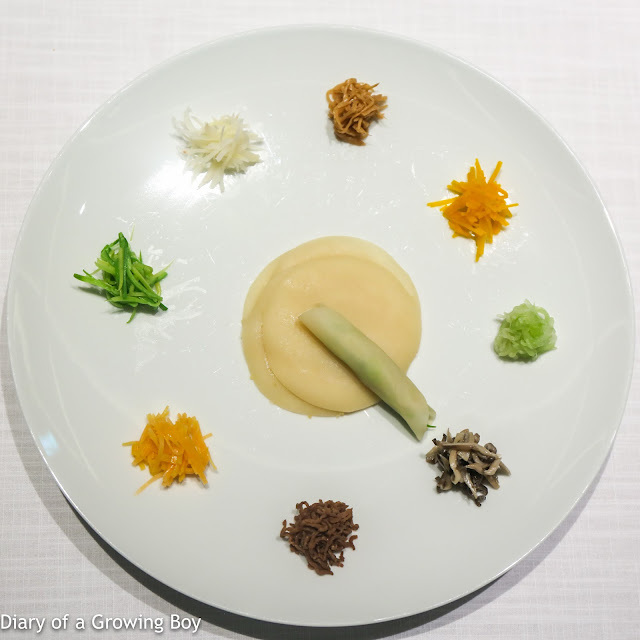 Clockwise from top: saesongi (새송이 버섯), or king oyster mushrooms; pumpkin; cucumber, neutari (느타리 버섯), or oyster mushrooms; Korean beef; sweet potato; zucchini; doraji (도라지), or balloon flower root. All the ingredients carried delicate flavors of their own, so they did work very well together. The sauce on the side tasted of horseradish. A beautiful way to start. 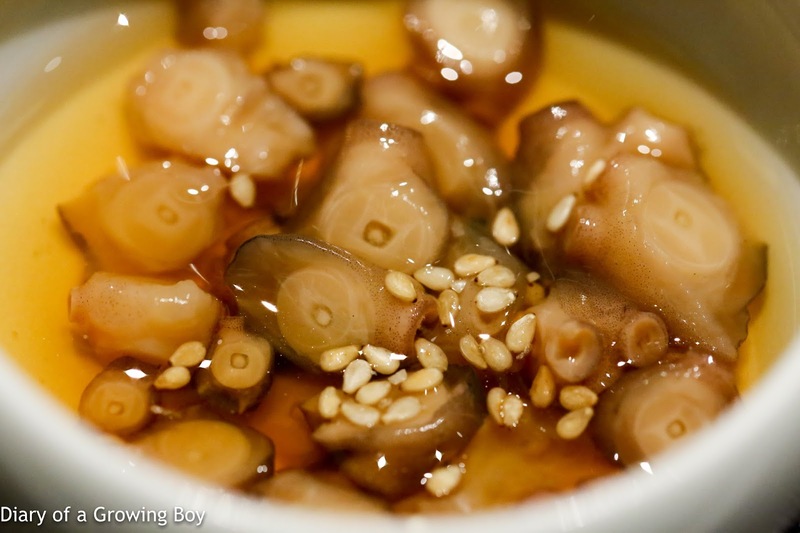 Steamed abalone with cold soybean paste (전복 된장 물회) - the abalone was, of course, very tender. So were the scored pieces of cuttlefish. 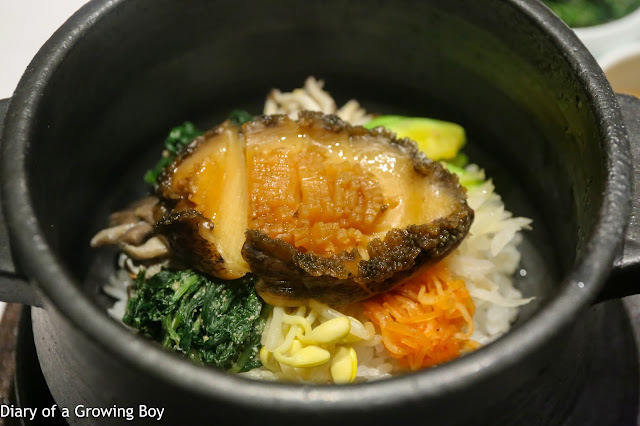 Nicely flavored with a mix of gochujang and soybean paste, and plenty of fermented flavors. 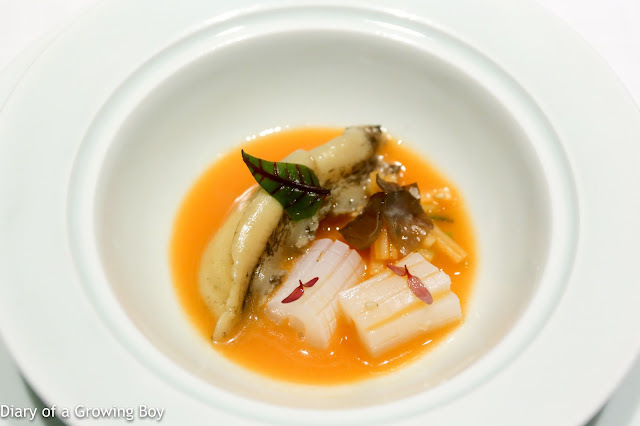 This was an upgraded version with abalone, as opposed to leftover seafood found on fishing boats. 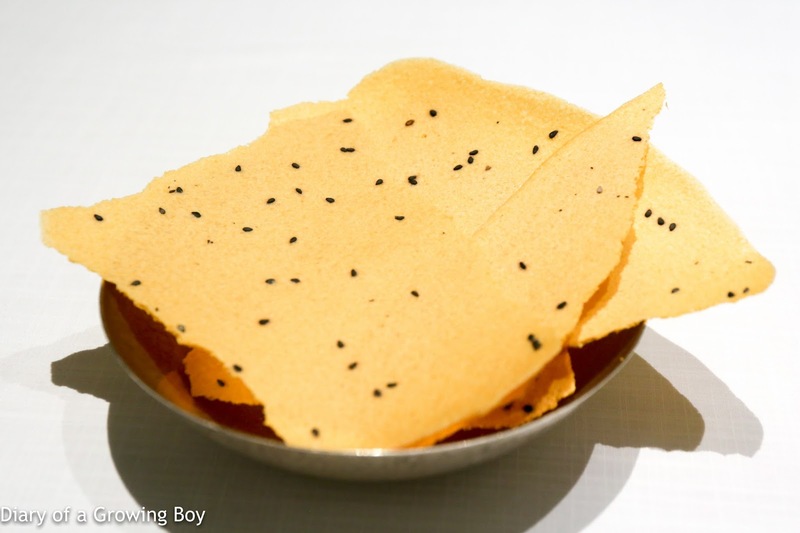 Wakame seaweed adds a little different layer of flavors. 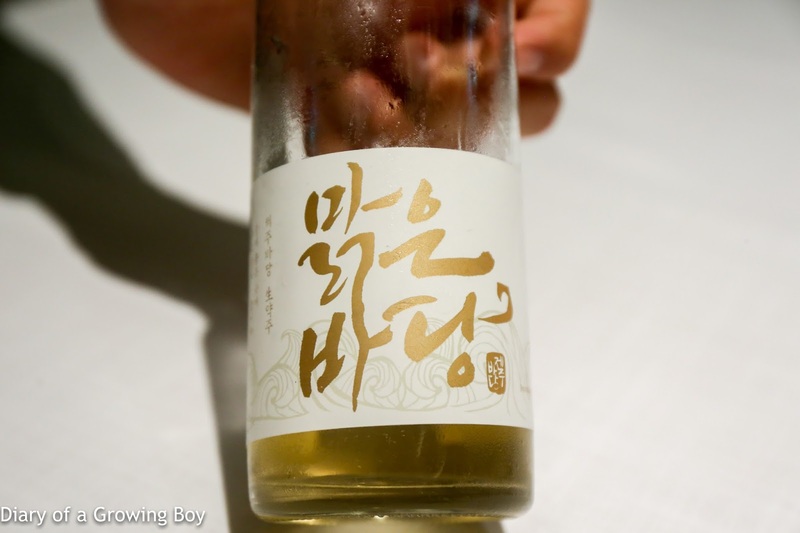 Malgeun Badang 맑은바당 - nose was a little sweet, a little grassy, similar to oxidized yellow wines like Shaoxing. 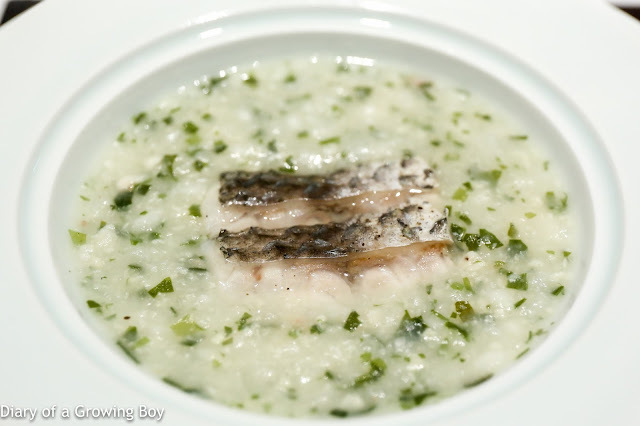 Croaker porridge with seaweed (민어 어죽) - croakers are one of my favorite fish, and I'm ever so happy to taste some. Naturally this was served with some pickles on the side. 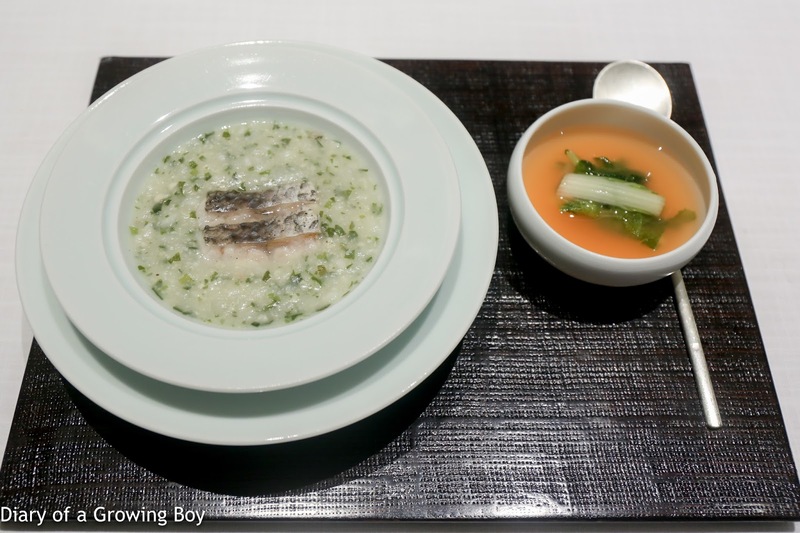 A very flavorful yet delicate porridge. 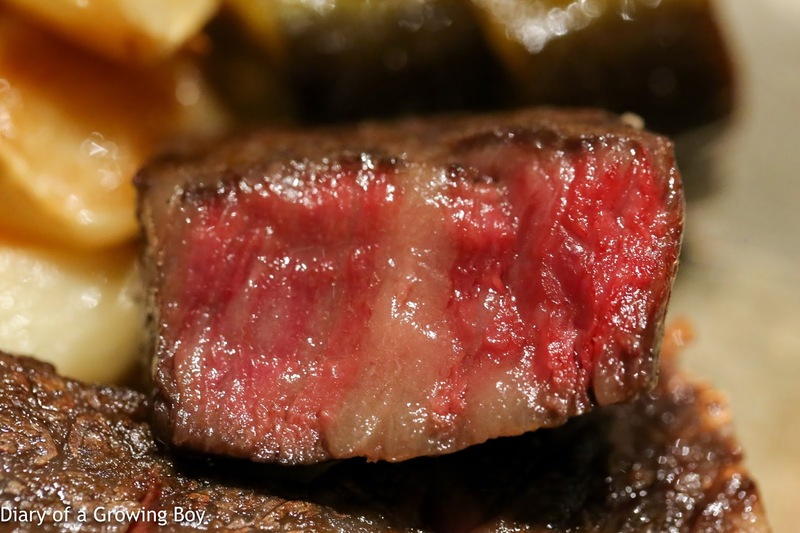 Consistency is on the thick side, with good umami from the seaweed. 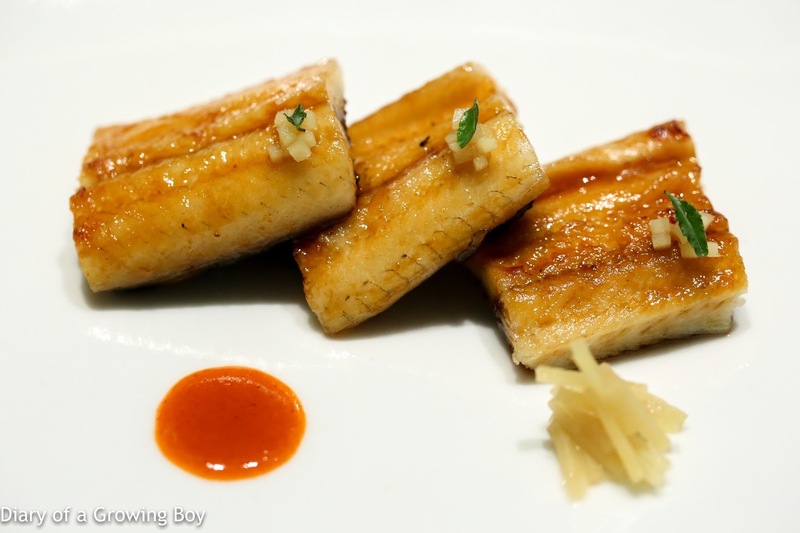 Char-grilled eel with soy sauce and red pepper paste (장어 양념구이) - very nice. 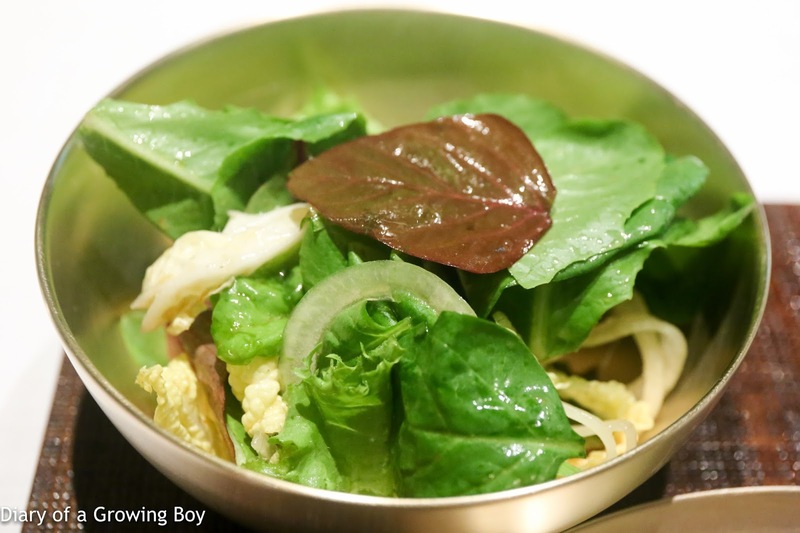 With finely diced braised ginger and sansho leaves (木の芽) on top. Again, flavorful without being heavy... and a little dab of the gochujang sauce and a nibble of ginger was enough. 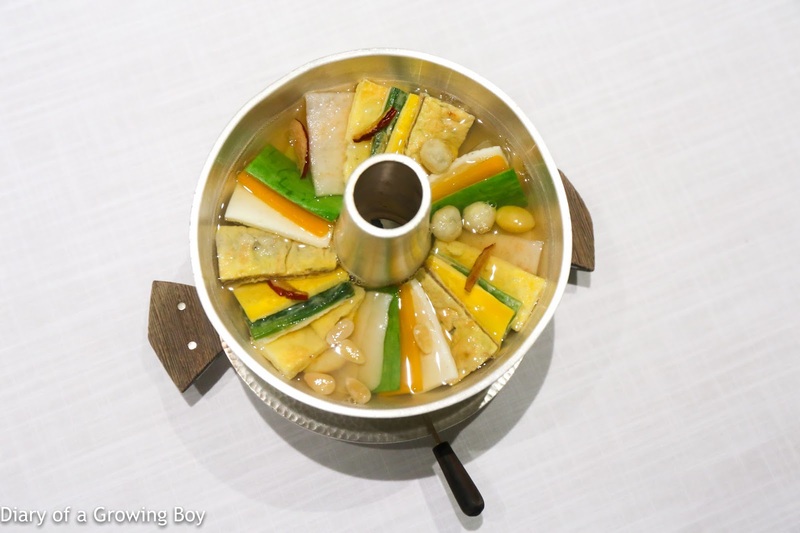 Royal hot pot (신선로) - this is a traditional Korean hot pot with different ingredients, all prepared separately, pan-frying with flour. So we have seasonal fish, beef sandwiched between layers of egg, abalone, meat balls, squash, pan-fried egg which had a bouncy texture, onion, egg white, a millefeuille of water dropwort (미나리) and egg white, pumpkin, ginkgo nuts, pine nuts, jujubes...etc. 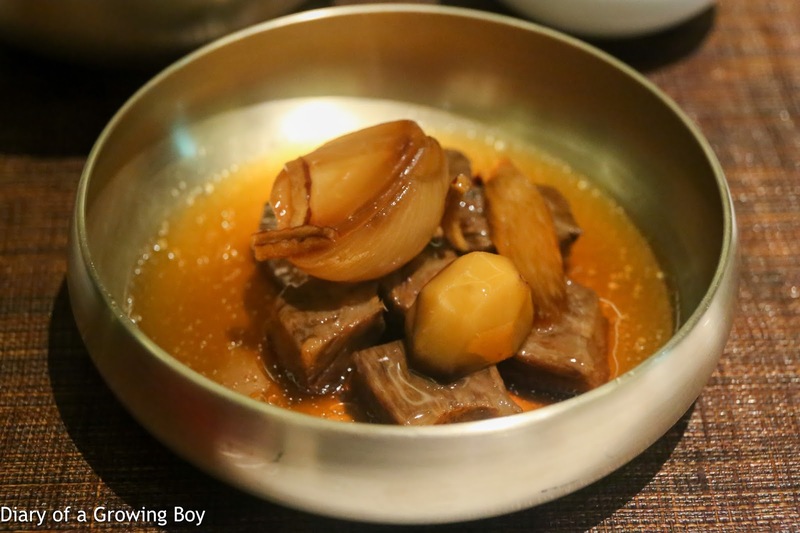 all in Korean beef broth. 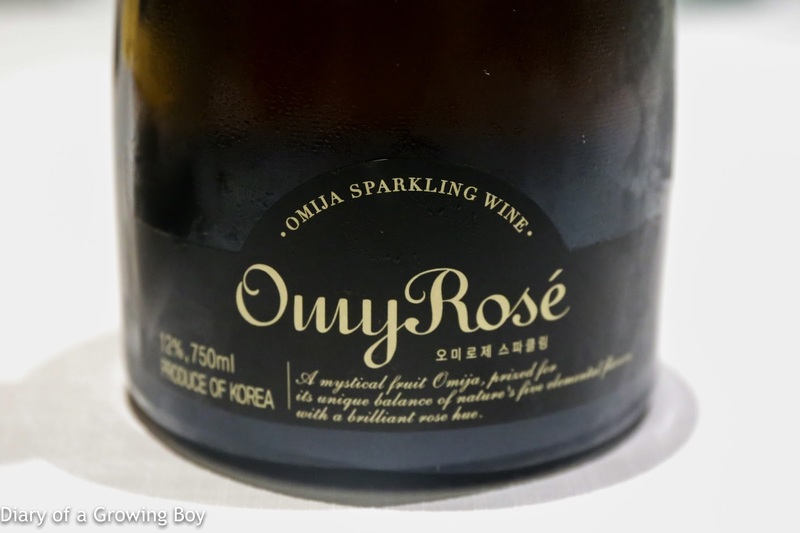 The flavors are on point but at the same time light and elegant. Nothing is over-seasoned. An incredibly beautiful dish. I wish we could have had more. We had a choice of our Korean hanwoo beef (국내산 한우) dishes, so Hello Kitty and I chose different ones. 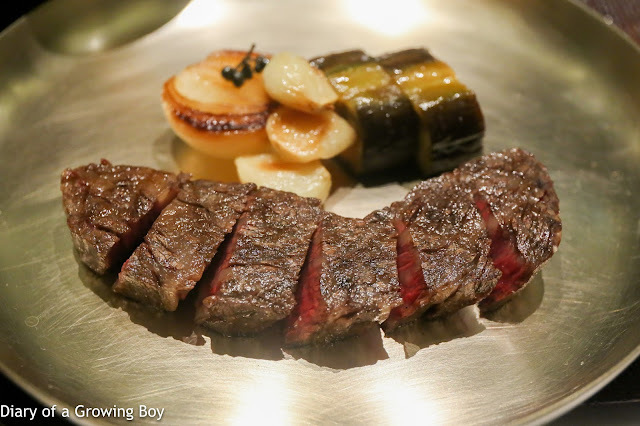 Char-grilled Korean beef sirloin with pickled onion and seasonal vegetables (등심구이) - very, very delicious. Perfect execution. And check out the marbling! With a side of salad. We had a choice again for our carb course, and I really wanted to have all of them! 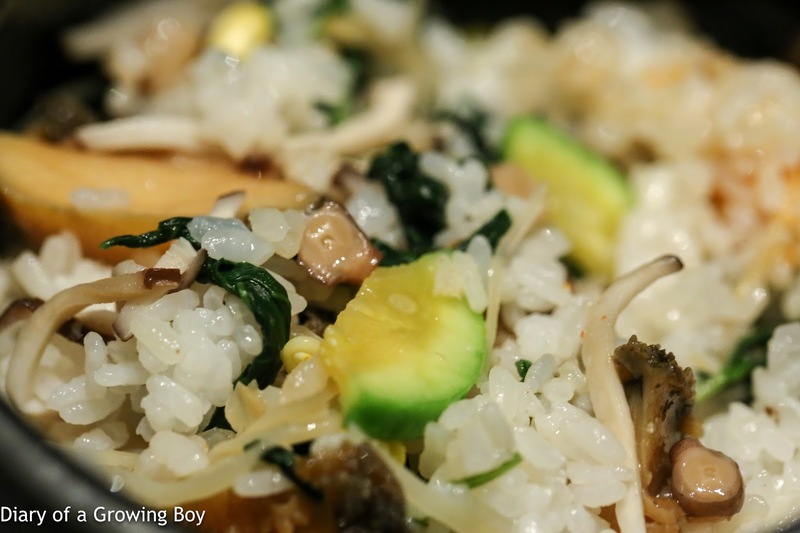 In the end I decided to go for an upgraded version of bibimbap (비빔밥). Hot pot rice with vegetables and abalone (전복 비빔 솥밥) - naturally, this came with a variety of kimchi and pickles. 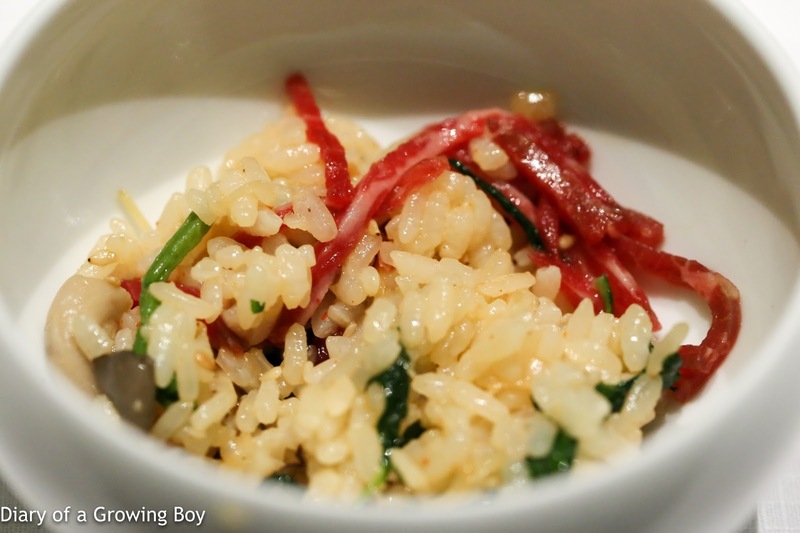 The rice bowl itself was beautifully presented. And meant to be taken with the octopus marinated in sesame oil. This was delicious on its own. So I promptly mixed it up. No gochujang needed here. 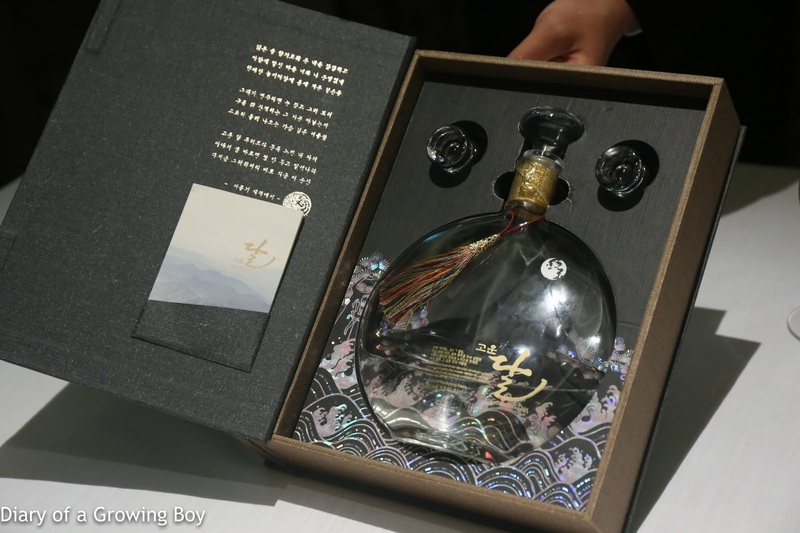 Delicate flavors only. And the abalone was beautiful. 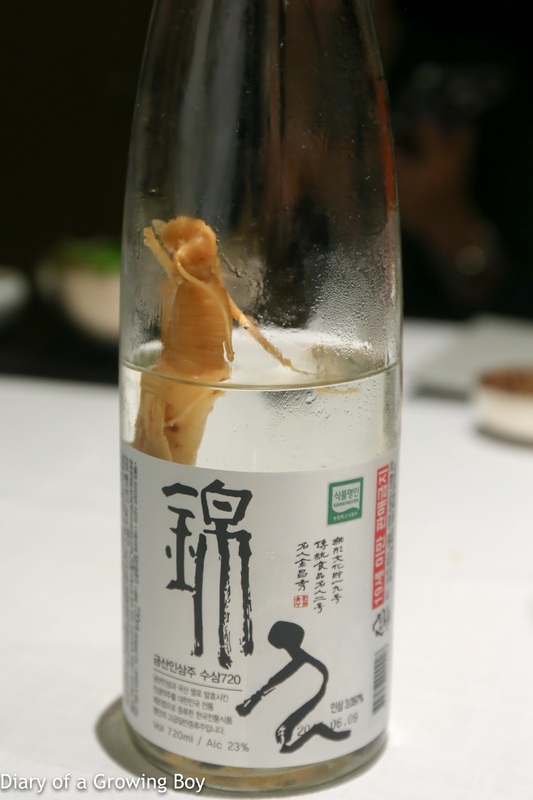 Love the "water kimchi". So cool and refreshing. Chilled buckwheat noodles with Korean beef broth (냉면) - this was Hello Kitty's choice. 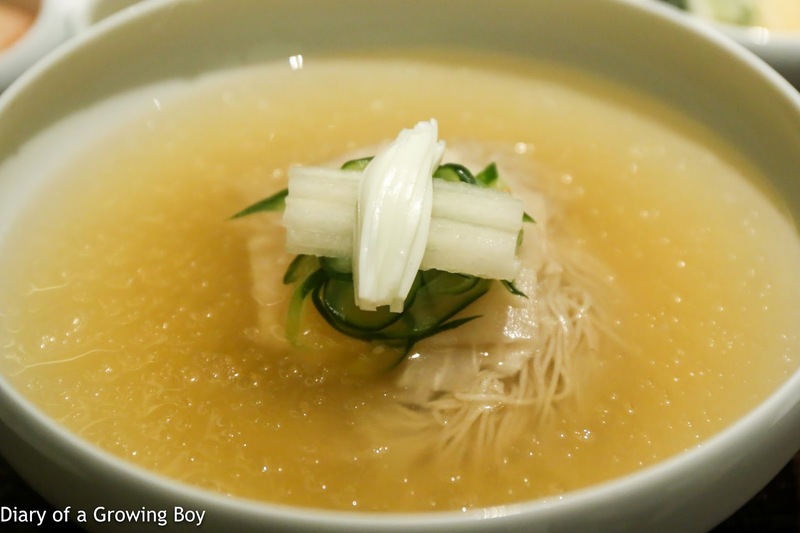 She wanted something light at the end of a big meal, so naengmyeon was perfect. The noodles were beautifully done. I know I sound like a broken record here, but the flavors were just so elegant. Not bland. Just delicate. 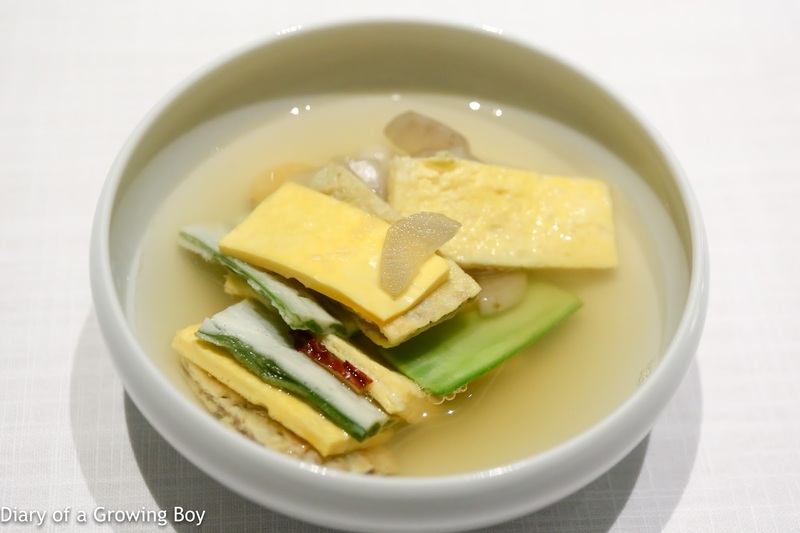 Ginseng chicken soup with abalone (전복 삼계탕) - DaRC was also kind enough to share a piece of chicken from his ginseng samgyetang. Very tender and tasty. 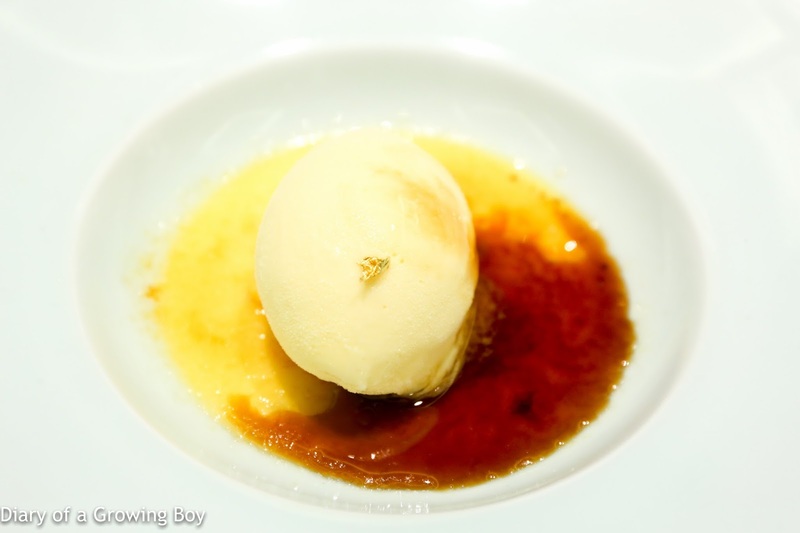 Corn ice cream with pudding and red ginseng flavored brown sugar syrup (옥수수 얼음과자) - nice corn flavors in the ice cream, and a little crunch from the corn kernels in the crème brûlée. 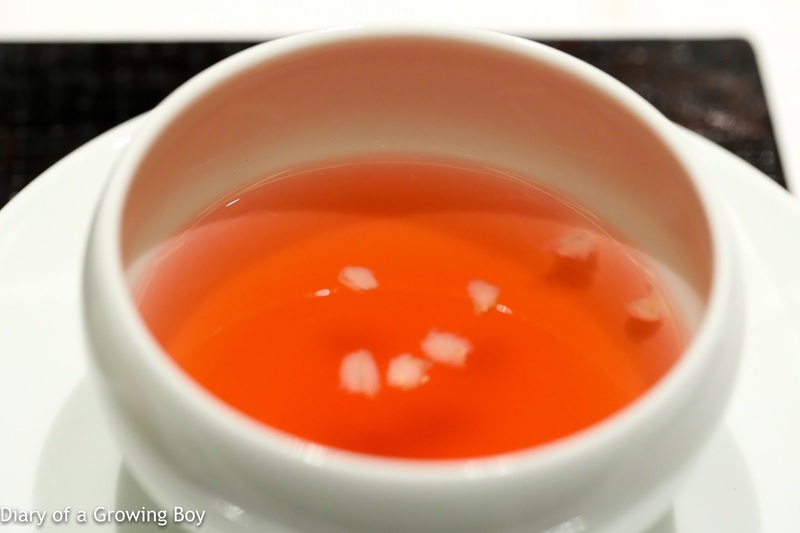 Korean Tea and Refreshments (차와 다과) - omija tea, and custard. 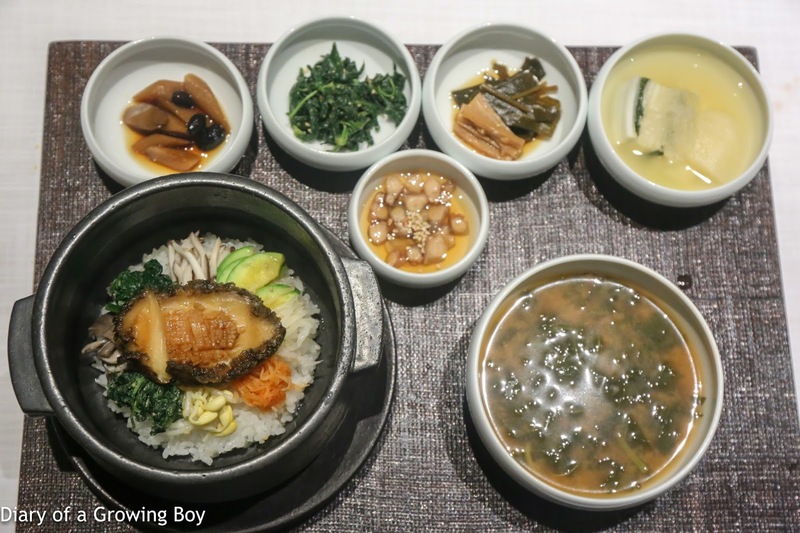 This was simply a perfect meal - the finest Korean meal I have ever had. 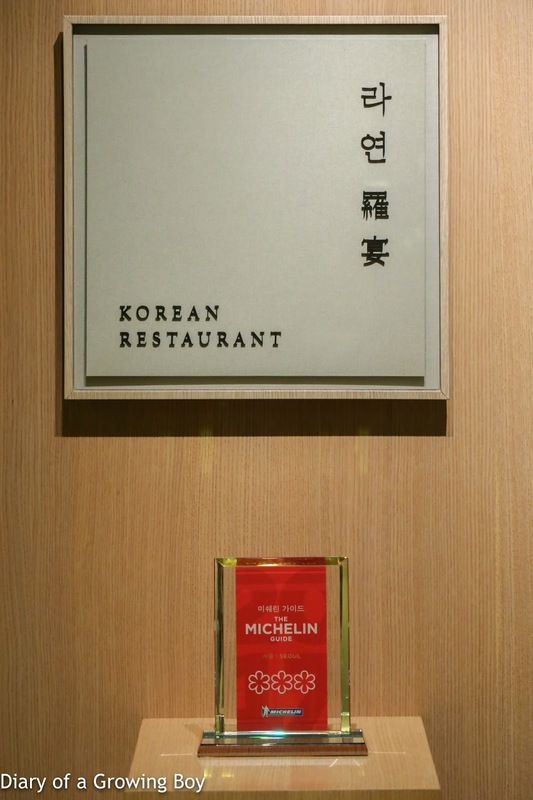 The purpose of our trip was to open our eyes to Korean fine dining, so see what else was possible other than the barbecue, spicy kimchi jjigae (김치 찌개) and other stuff where all you see is red. And tonight our eyes were certainly opened. This was the polar opposite of what we know as Korean food, and I was so happy to have gotten this education. Many thanks to Chef Kim Sung-il for cooking for us on his day off, and of course thanks to Mikacina for making sure we were pampered. Now... since tonight was our only meal at a 3-star restaurant, will it all go downhill the rest of this trip? P.S. 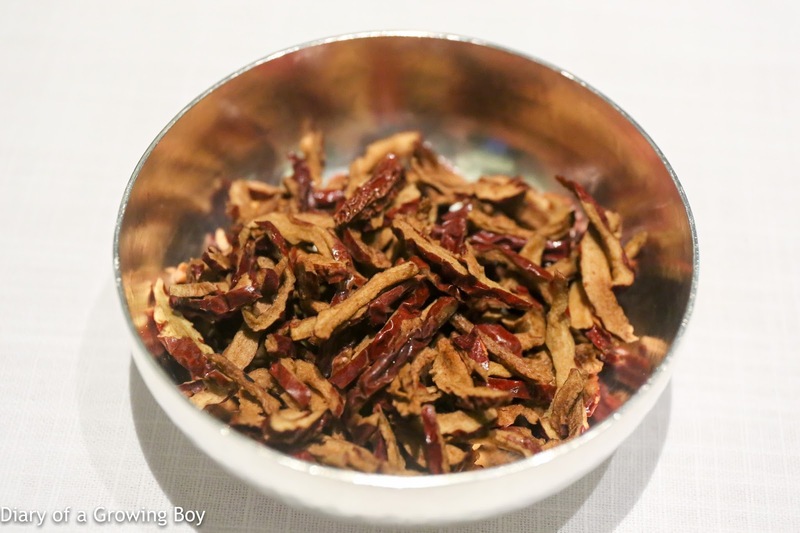 We all got some of the dried jujube we loved so much to take home. I can't tell you how happy that makes me... as it would make a great present for mom.